Toraja Villa is an impressive modern boutique holiday villa with private pool in Bali, fitted with all the facilities that will make your dreamholiday reality! 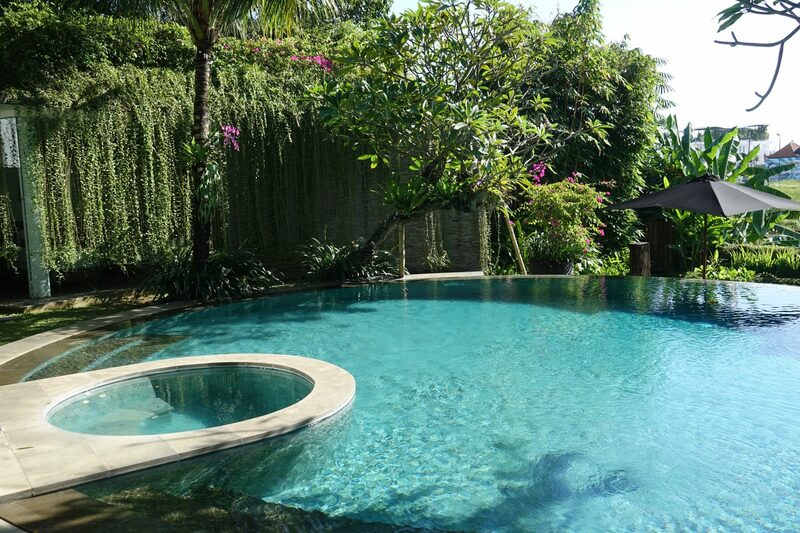 The villa is located in the lucious green area of Canggu, Bali. Canggu is a very laidback & hip area with plenty of good restaurants, bars and beaches! Toraja Villa’s breathtaking beautiful design combines authenticity and a tropical, minimalistic life style but at the same time it is also a surprisingly contemporary holiday villa. This private villa meets all of your needs concerning comfort, luxury, privacy and high standard personal service! This Bali villa with private pool has a unique roof shape. The roof’s unique shape is a modern version of the Toraja people’s traditional houses, the so called Tongkonan houses on Sulawesi. “Designing this villa was a real challenge”, says architect Putu Edy Semara, “We’ve managed to combine an authentic aura with modern facilities, without compromising the surroundings. 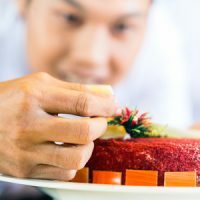 A private chef will be at your disposal during your stay. He will prepare your favourite international and local dishes! As we have a grocery system set in place, just inform the chef what your wishes are for breakfast, lunch and diner and he’ll take care of it. 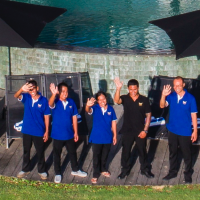 Our experienced & friendy staff will look after you and will make sure that you will have an unforgettable stay! Our villa manager is in daily charge of running the villa and he does this with the dedicated support of the housekeeping team, gardening and security staff!